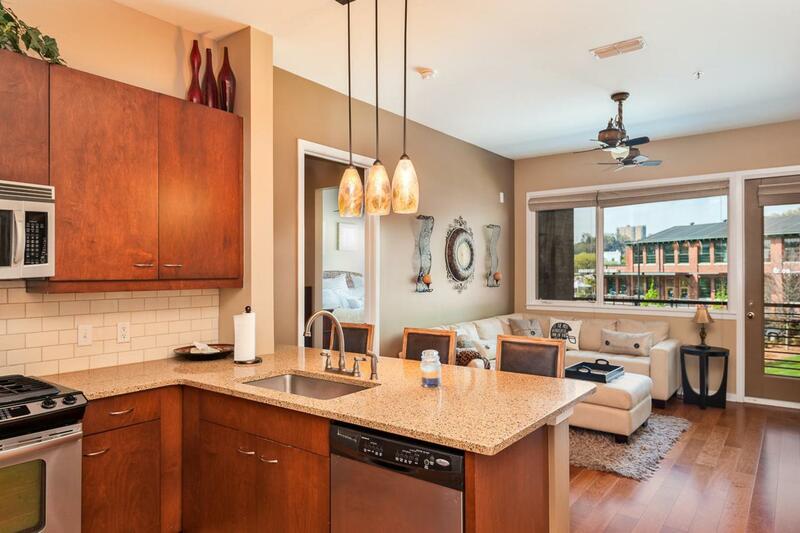 This 2bedroom 2bath condo home faces north looking at Stringer's Ridge. It has only had one owner, a non-smoker, and has been maintained very nicely. The floors have been upgraded to hardwood throughout. 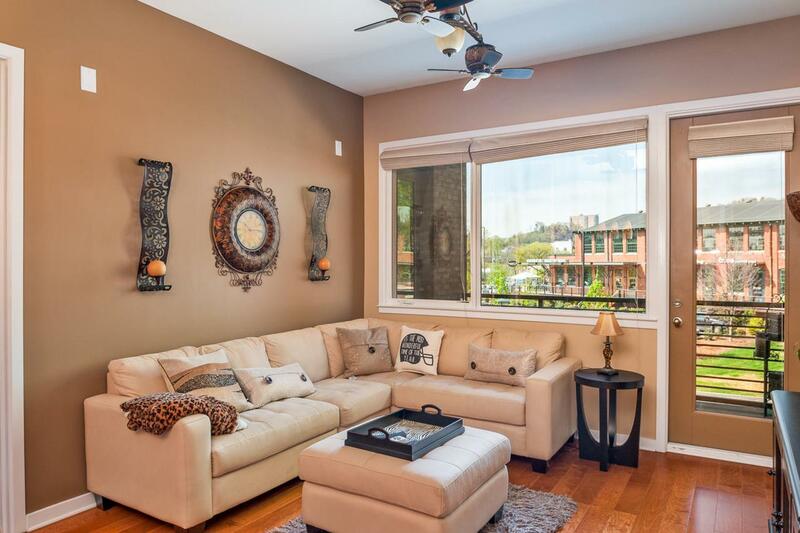 The lighting choices are quite ornate and offer much beauty to this immaculate condo home. The roommate floorplan is convenient, especially with each bedroom having its own bathroom. It has a wonderful bird's eye view of life on the North Shore. 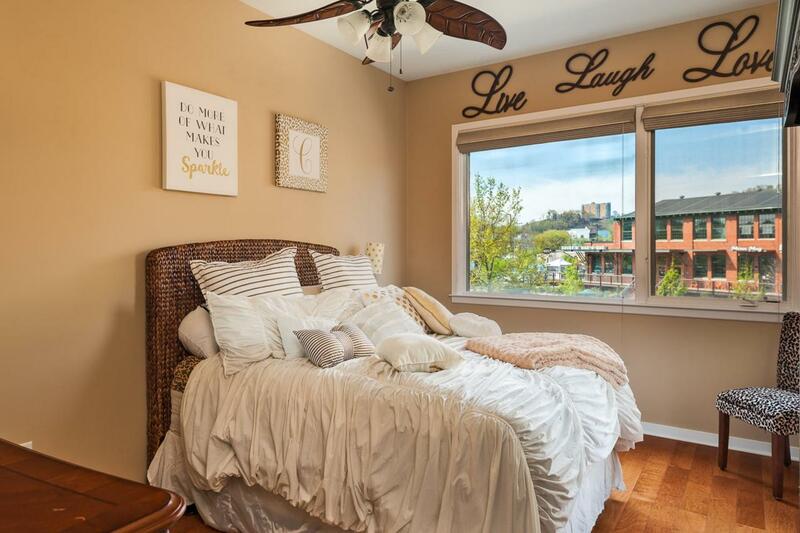 This location is convenient to shopping, restaurants, spas, post office, walking bridge, and so much more. In addition to the resort style swimming pool, community gas grills, and fitness center, ONS also boasts its impressive penthouse clubroom which overlooks downtown and the Tennessee River. 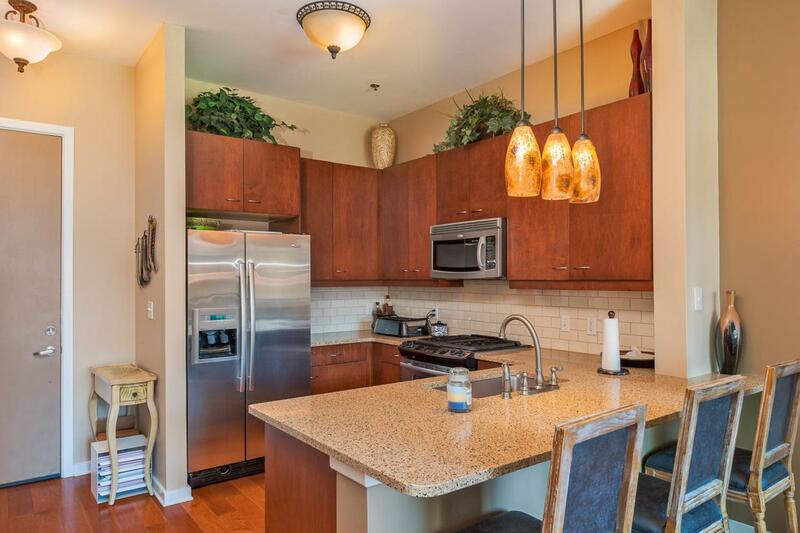 This condo home comes with a covered tandem parkingspace in a gated garage. Walden Security Provides 24/7/365 CCT monitoring. Come see what makes living at One North Shore more like being on vacation.